Life is easy on the Eastern Shore! Come discover a sportsman’s paradise of year-round golfing, boating and fishing. Stroll through the vibrant downtown shops to find a rare treasure. Enjoy warm breezes along the Eastern Shore’s many nature trails. Savor the golden sunsets from our local piers overlooking Mobile Bay. Find inspiration in a local art gallery. Southern charm, friendly faces, blooming magnolias and fresh Gulf seafood to tempt every palette. The Eastern Shore has it all. Daphne: Explore little-known historic spots in the Jubilee City. Tucked away next to Mobile Bay you’ll find winding trails blanketed by century’s old live oaks at Village Point Park Preserve in Daphne. The natural trails will lead you to Jackson’s Oak, an early American cemetery and an ancient Indian burial mound. In 1814, General Andrew Jackson rallied his troops from a limb on this majestic oak tree while en route to the Battle of Spanish Fort. 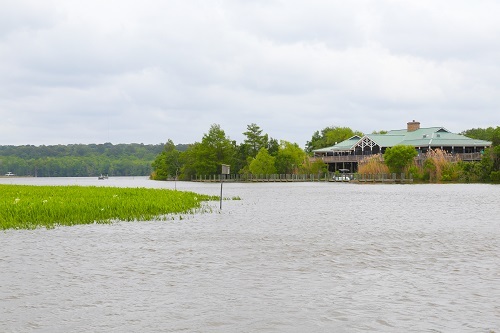 Bring your fishing poles and cast net to May Day Park & Pier or Bay Front Park. A secluded beach area offers plenty of space to spread out, and you may even see kite surfers enjoying the waves of Mobile Bay. 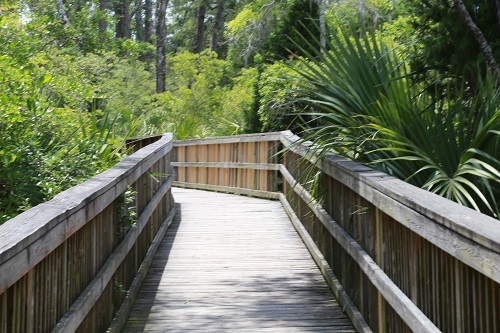 Take a stroll down the Gator Boardwalk to view turtles, alligators and other wildlife. Explore Olde Town Daphne for unique shops and restaurants, including Manci’s Antique Club, a Daphne tradition since 1924. 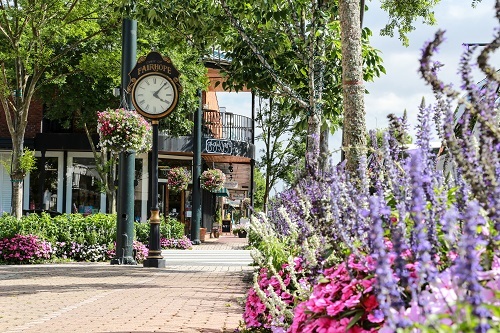 Fairhope: Bring your walking shoes and take in Fairhope’s charming downtown. Begin your day in Fairhope with a walk through the city’s picturesque downtown. With scenes that look as though they’re straight from the pages of Southern Living, enjoy meticulously landscaped sidewalks while browsing trendy boutiques and shopping for antiques. Spend the afternoon at Fairhope Municipal Pier and Park. Bring your fishing poles, kayak or standup paddle board and soak up an afternoon of bayside fun. Stay and watch the sunset on Mobile Bay. Be a spectator at a regatta (or sail in one) at the Fairhope Yacht Club. After dinner at one of Fairhope’s numerous restaurants, top off the night with a stop at The Fairhope Brewing Company and sample a flight of locally made craft beer. 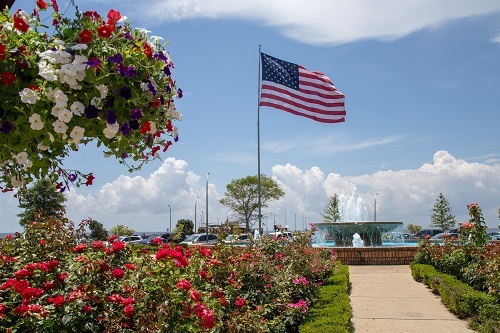 Spanish Fort: Shop till you drop and discover a history lesson, too. Discover Blakeley State Park, the site of Alabama’s largest Civil War battle. Steeped in history, the park is also the site of Native American settlements dating back thousands of years. There are more than 16 miles of walking and biking trails, as well as cabins and camping facilities. Ride the Delta Safari at the 5 Rivers Delta Resource Center or go on an adventure on the Airboat Express located nearby. Get to know Spanish Fort from a unique perspective when you explore the area via its waterways. Schedule a stop at Battleship Memorial Park and step back in time as you explore the USS ALABAMA. There’s no shortage of delicious fresh seafood at restaurants dotting the Causeway in Spanish Fort, including the Original Oyster House and Blue Gill Restaurant. Top off your day with shopping at famous-brand stores, including Bass Pro Shop, JC Penney and more.